Collect national scientific expertise by creating an enduring network of partnerships, thus sustaining and enriching the Netherlands’ continued international leadership in this field. 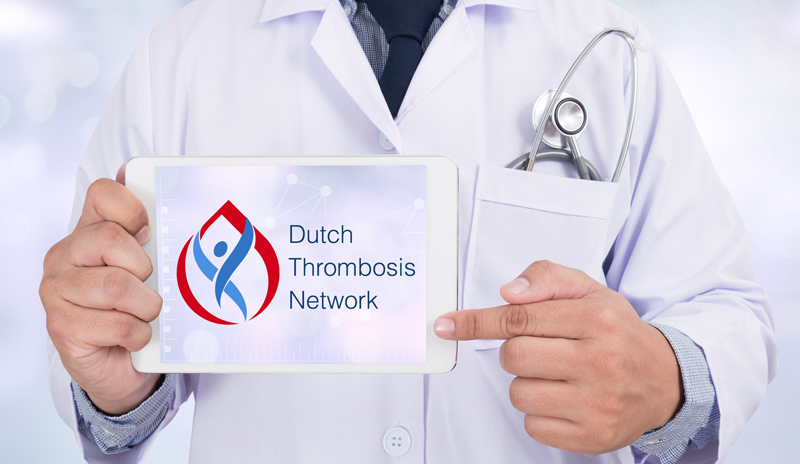 Generate new knowledge by Dutch thrombosis researchers, with the input of patient partners, through clinical trials, translational research, and quality of care and effectiveness research. These studies will discover risk factors and causes of VTE and its complications and lead to improvements in prevention, diagnosis, and treatment. Promote and facilitate the sharing of ideas, best practices, resources and platforms to build and sustain the infrastructure and transdisciplinary collaborations needed to more efficiently conduct high quality clinical trials that answer key questions impacting the Dutch people. Enhance our first grade VTE research capacity via unique national research training, mentoring, and early career development program that will produce independent health researchers who lead and conduct patient-oriented and health services research in this field. For this purpose, we will also recruit and train patient partners. Enhance our capacity for knowledge transfer through a coordinated approach that will effectively translate research knowledge to maximize its impact on hospital and community-based practice, patients and their families, and patient-relevant health outcomes. These efforts will include initiatives targeted to the general public (promoting early diagnosis), patients (promoting prevention, early diagnosis, compliance with therapy), general health care providers (promoting prevention, diagnosis and initial treatment), thrombosis specialists and thrombosis research leaders (via research training, early career development, and all DTN activities).